How we prepare now, before a disaster, dictates how we react, respond and recover during the real thing. A mock 7.8 earthquake in San Francisco seems like a good test! We’ll go into more detail later about what went on when DEM and our partners were put to the test. 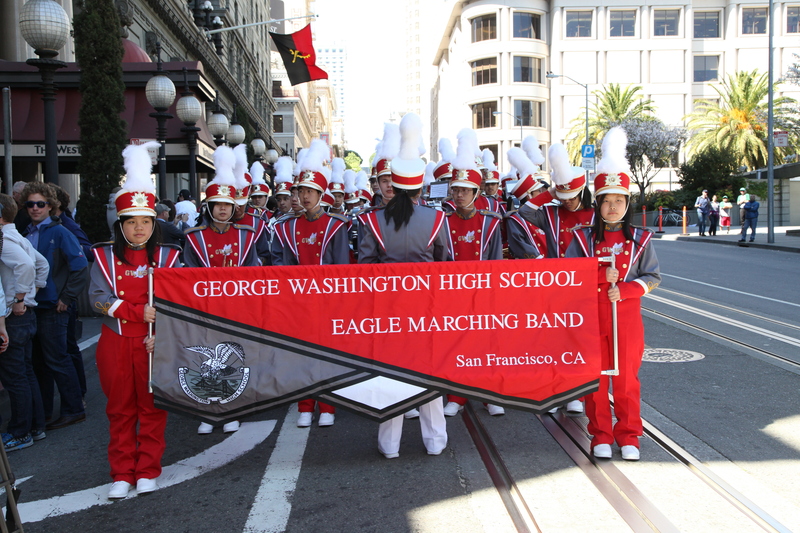 For now check out our photo gallery and our coverage in the San Francisco Chronicle and Emergency Management Magazine! 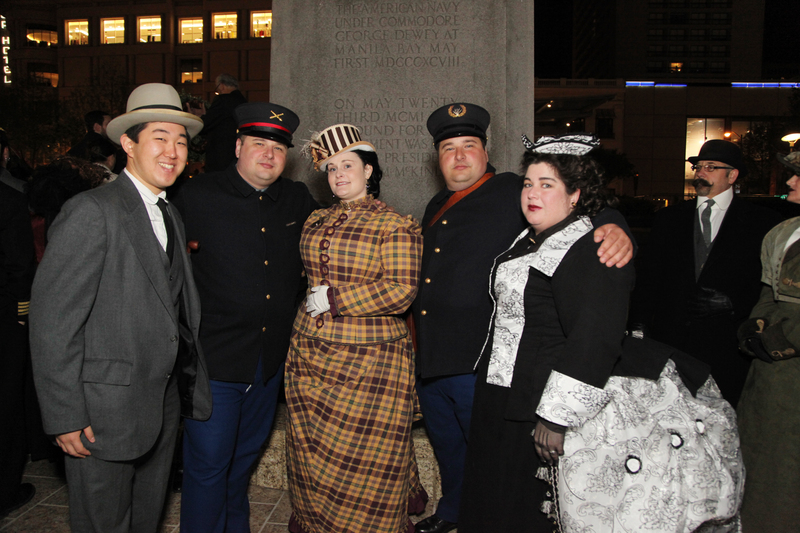 We got up very early, we dressed in 1906 style, and we joined our fellow San Franciscans in commemorating one of the most significant natural disasters in California’s history. 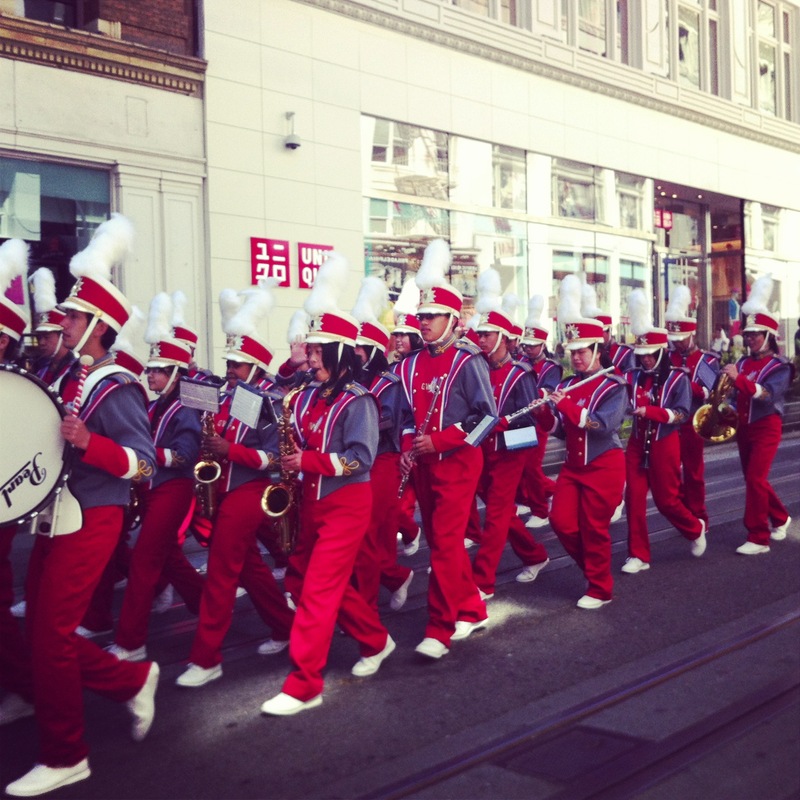 Please enjoy DEM’s photographs documenting our participation in an annual ritual filled with camaraderie and San Francisco pride. Special note of appreciation, acknowledgment and thanks to Michael Mustacchi for photographing this special event. 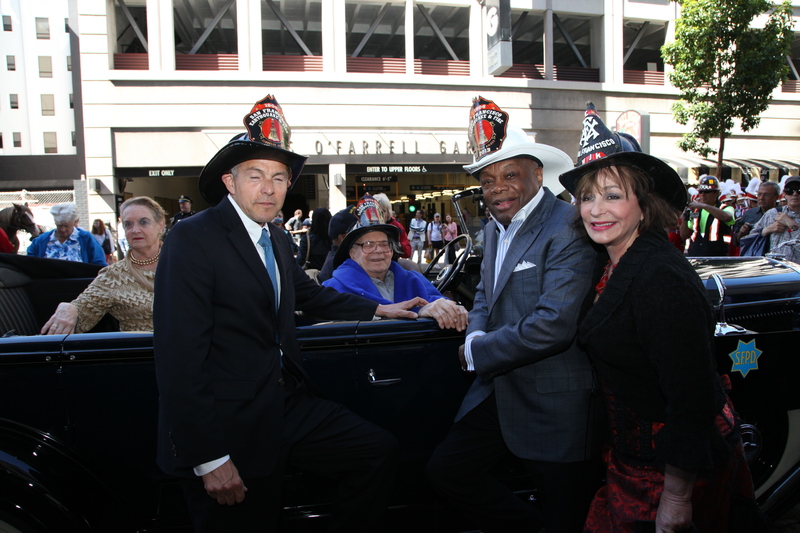 The 1906 San Francisco Earthquake and Fire Commemoration activities kick-off with a parade along Powell Street near Union Square. 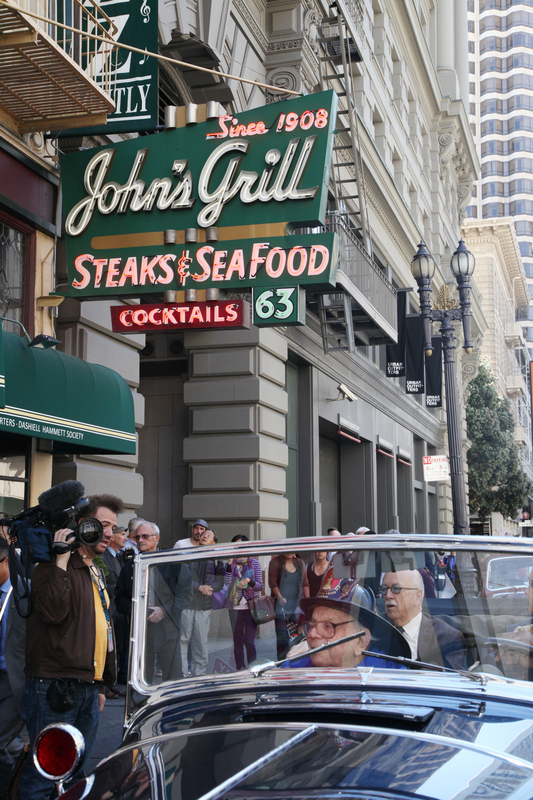 The parade ends at historic John’s Grill with an annual Survivor’s Dinner. 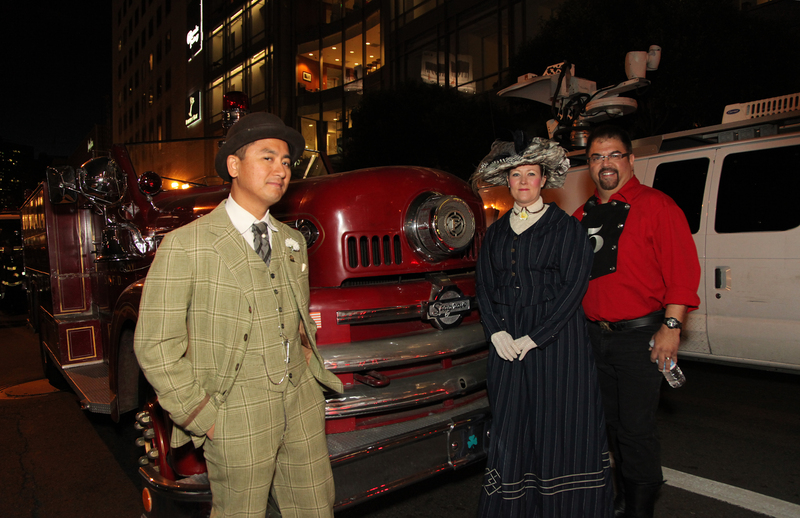 This year 1906 earthquake survivor Bill Del Monte was able to join the dinner festivities. 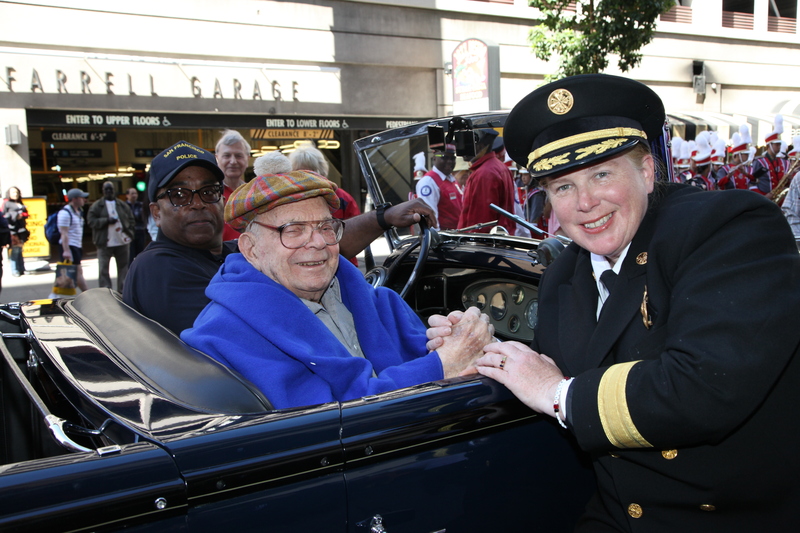 Mayor Brown pictured with 1906 earthquake survivor Bill Del Monte and fellow San Franciscans dedicated to commemorating the anniversary. It turned out to be nothing, but a suspicious package reported near Lotta’s Fountain meant a change of venue to Union Square. 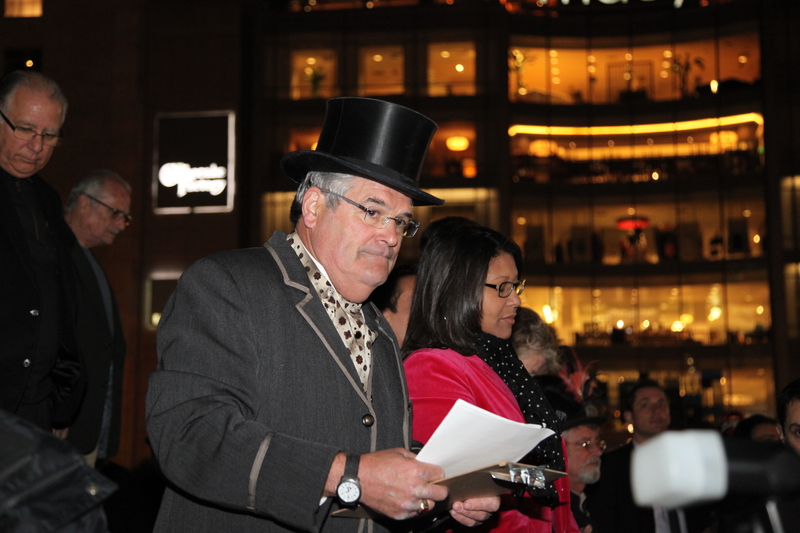 But the master of ceremony Bob Sarlatte and the event organizers made sure the show went on. 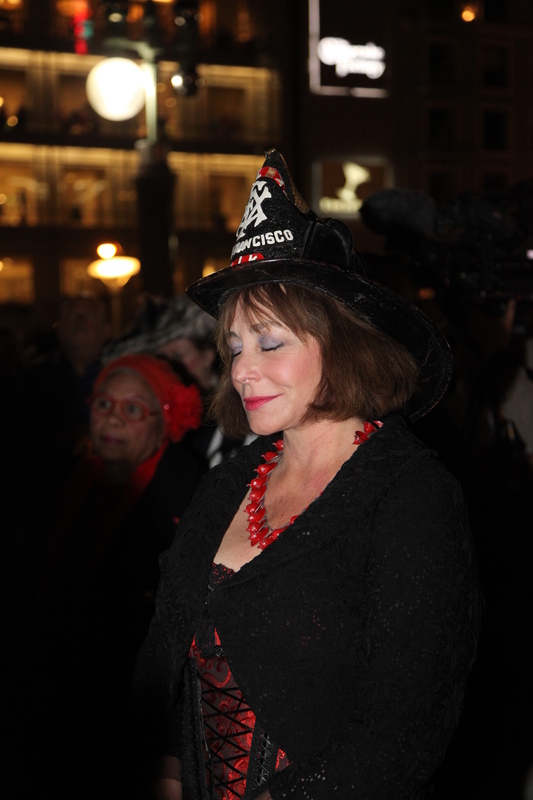 A ceremony participant observing a minute of silence at the exact time the 1906 San Francisco earthquake occurred: 5:12 am. A very loud siren kicks off the minute of silence. Ceremony participants dedicated to keeping the tradition to commemorate the anniversary in 1906 period attire. 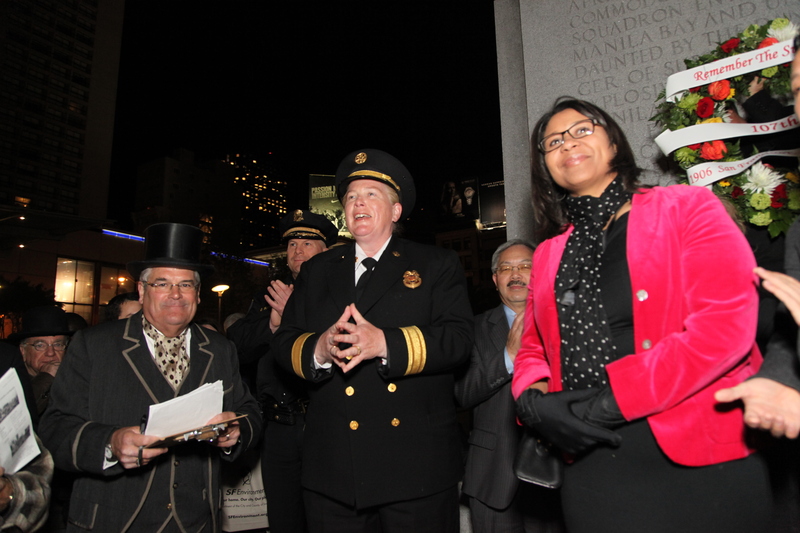 From left to right: Supervisor London Breed, Supervisor David Chiu, DEM Executive Director Anne Kronenberg, and Supervisor Scott Wiener giving remarks during the commemoration ceremony. San Francisco Fire Chief Joanne Hayes-White providing remarks on the disaster and its significance to San Francisco’s ability to respond and recover. 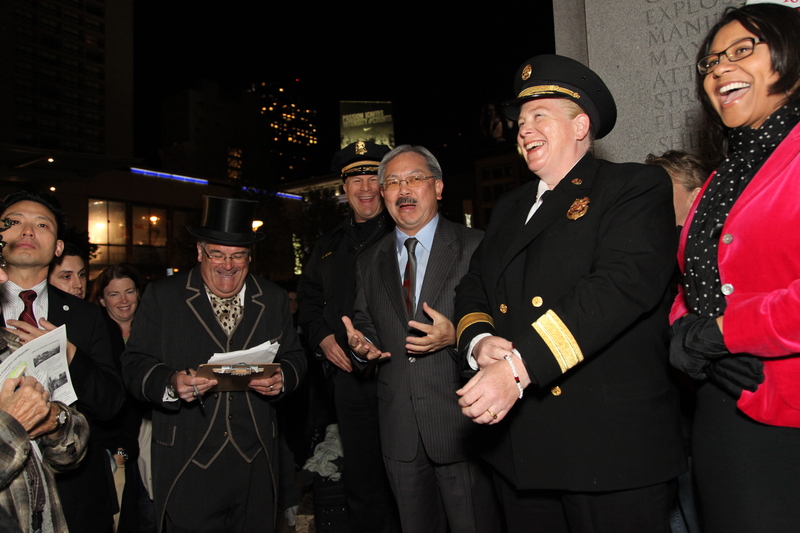 Mayor Lee shared comments about the City’s strength and what we are doing to promote San Francisco’s resilience. 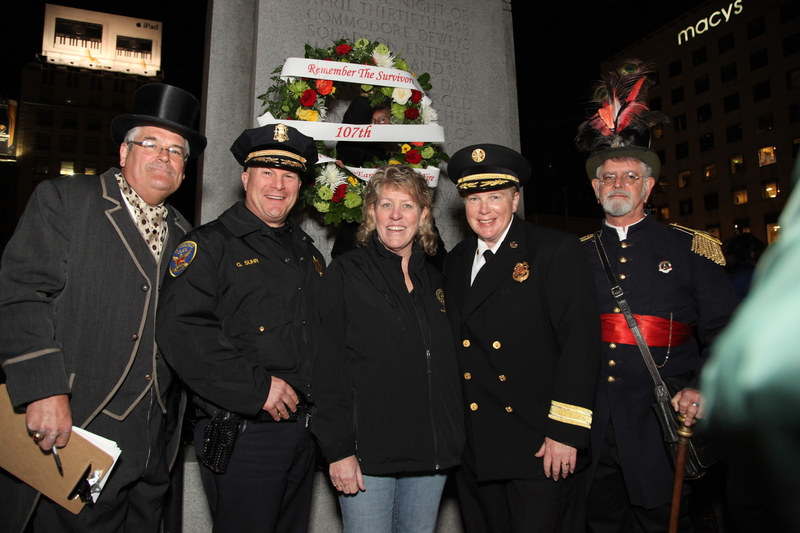 From left to right Master of Ceremony Bob Sarlatte, Police Chief Greg Suhr, DEM Executive Director Anne Kronenberg, Fire Chief Joanne Hayes-White and a ceremony dignitary. DEM dressed for the occasion! 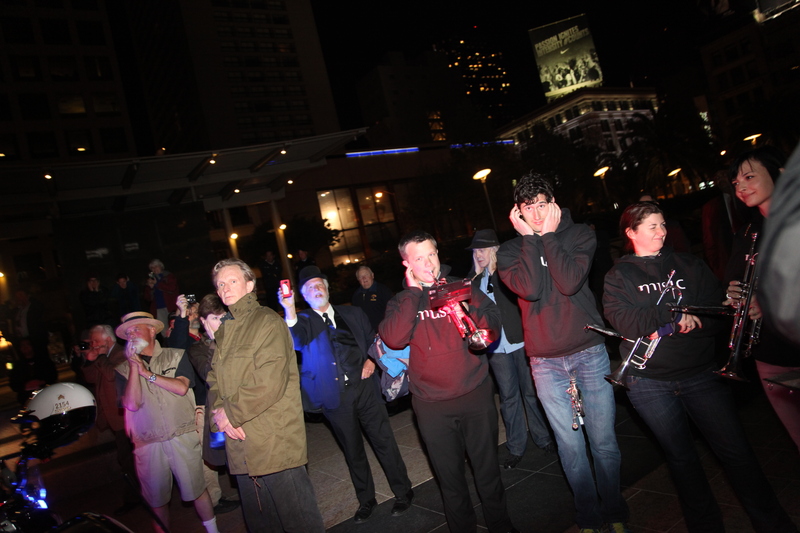 ShakeOut enthusiasts from southern California made the trip north to join the commemoration. 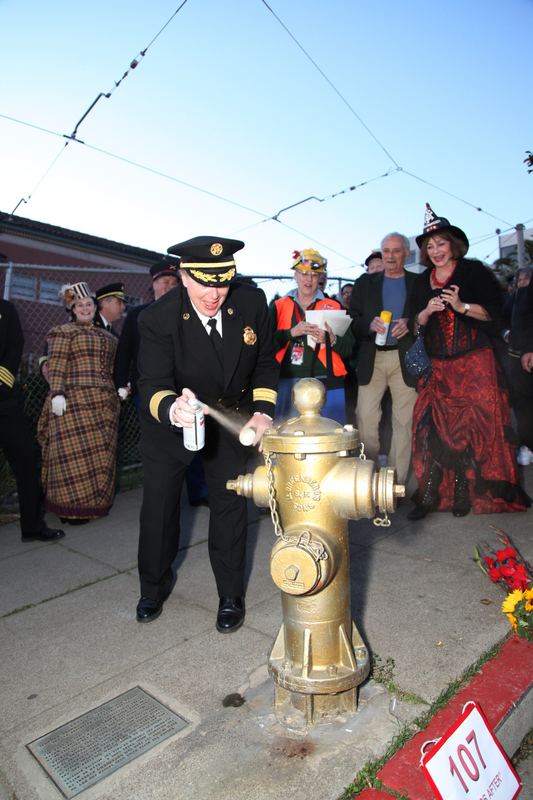 Fire Chief Joanne Hayes-White giving the Golden Hydrant a fresh coat of gold paint. 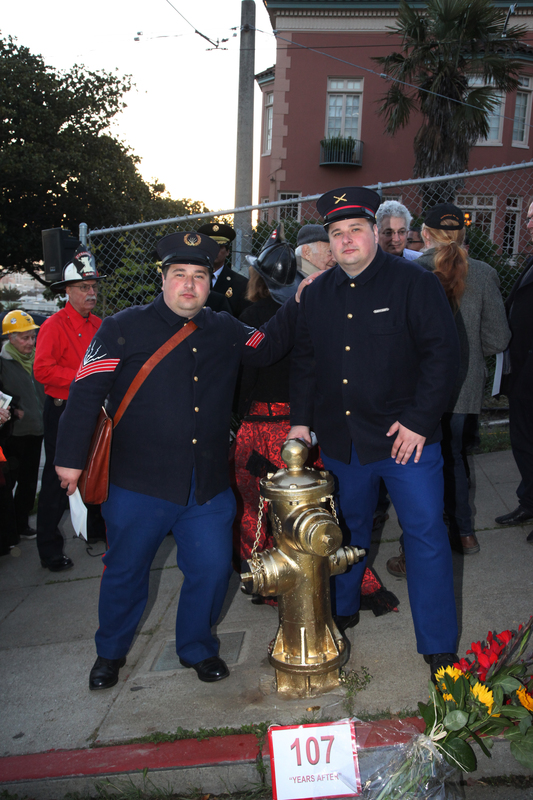 This hydrant is significant because it was one of the only working hydrants during the disaster and it saved much of the Mission and surrounding areas from fire. 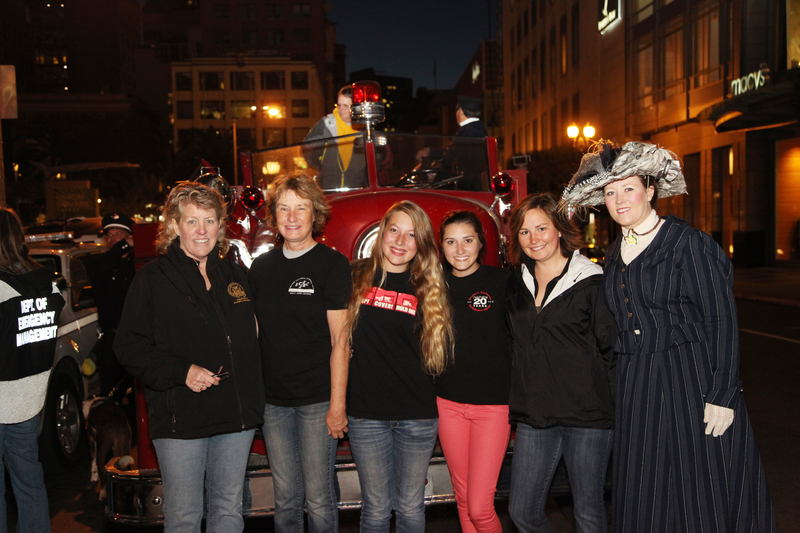 April 18th marks the 107th anniversary of the 1906 San Francisco Earthquake and Fire. Although very few of us have a first-hand memory of what remains one of California’s most significant catastrophes, every April many of us think about the what ifs with regard to earthquakes. The thing to keep in mind is that you are more prepared than you think! If the power goes out, you have a flashlight handy, and you know who can pick up your kids if you get stuck at work then you’re prepared. You adapt and move on. By managing everyday life you already have what it takes. So take simple actions now to make life easier when an earthquake happens! Actual emergencies look more like people coming together than communities falling apart. Being prepared is not just about getting our supplies together; it’s about knowing our neighbors, lending a hand, and sharing our knowledge and skills to help our community. San Francisco is full of creative, diverse, and visionary minds: we don’t need to look far to become a better prepared city. We just need to look to each other. So as we think about what happened to our fair city 107 years ago, let’s commemorate by taking stock of our resources, and then adding a little bit to that stock. If you have a manual can opener and a supply of canned food, you are more prepared than you think (did you know the fluid in your canned beans is a great hydrator?). And lastly, take the time to meet your neighbors – at home, at work, or through social networks. After all, these are the people we rely on everyday no matter the crisis! www.72hours.org: everything you need to plan for just about any emergency. www.alertsf.org: be in the know about any emergency alerts, notifications and warnings impacting San Francisco by neighborhood via text message and/or email. Twitter: For ongoing emergency information and preparedness tips, follow DEM on Twitter @sf_emergency (for emergency alerts) and @em4SF (for preparedness and resilience conversations). www.sfheroes.com: the smart phone app that lets you test your preparedness know-how and earn superhero badges as you advance your emergency preparedness knowledge, skills, and abilities. 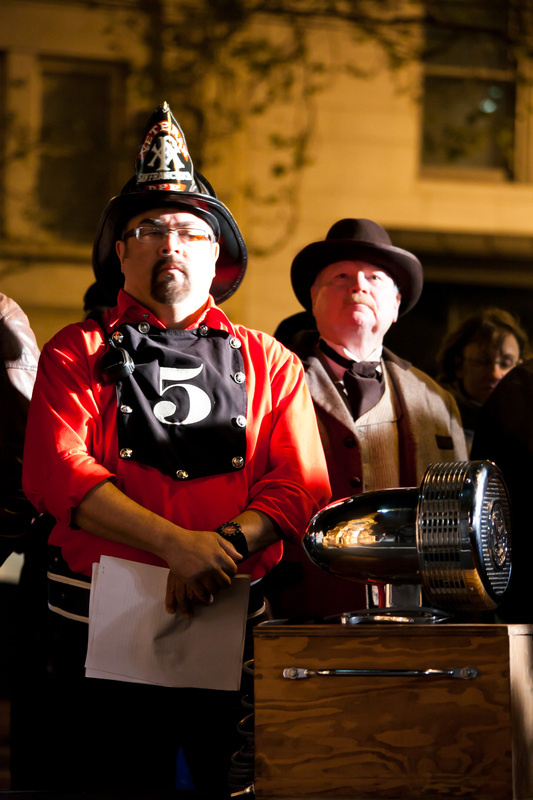 Join your fellow San Franciscans at 5:13 am at 3rd and Market Street as we gather around Lotta’s Fountain to mark the exact time of the 1906 San Francisco earthquake. 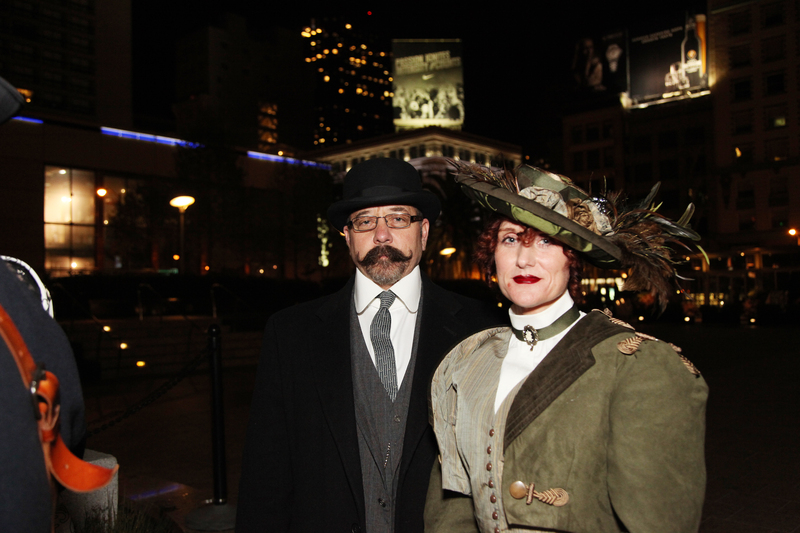 DEM dressed in 1906 attire during last year’s commemoration ceremony. 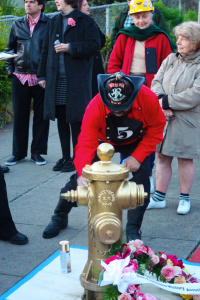 Following the Lotta’s Fountain commemoration ceremony, the gathering moves to Dolores Park to pay tribute to one of the only working fire hydrants during the fire that followed the 1906 San Francisco Earthquake. The Golden Hydrant in Dolores Park, which gets a fresh coat of gold paint every April 18th to commemorate the 1906 Earthquake and Fire. Neighborhood Emergency Response Team (NERT) members from all over the city will meet to put their training into action in this three-hour drill. At the drill, NERT volunteers practice search and rescue techniques, triaging injured victims, setting up staging areas, and other essential disaster response skills. The drill will take place 8:30 am to 12:30 pm at Everett Middle School Yard on 17th between Church and Sanchez. 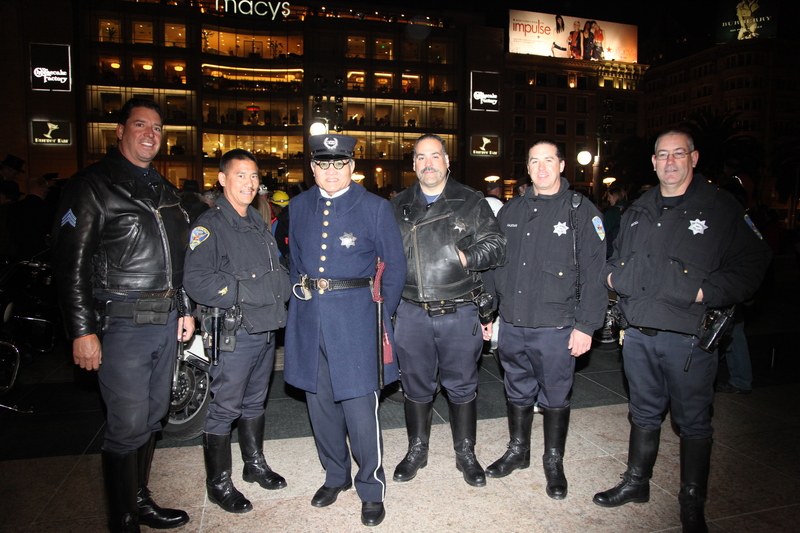 To learn more about NERT visit http://www.sfgov.org/sfnert. 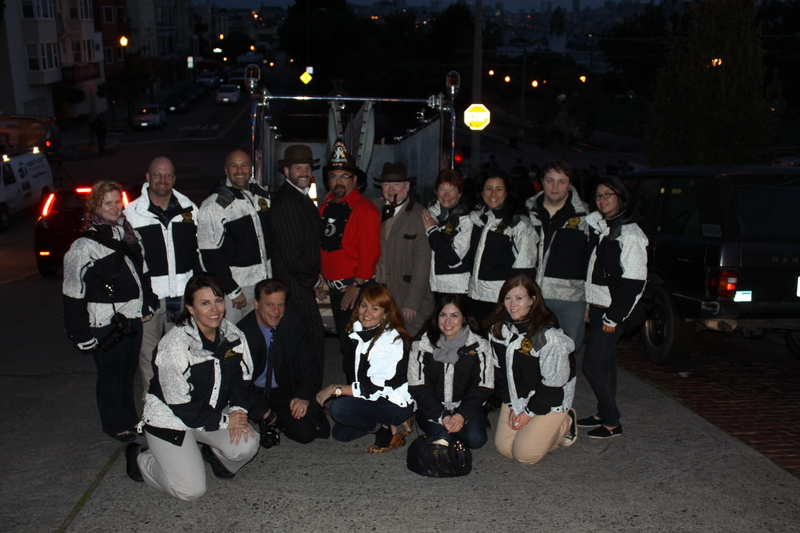 Team DEM at the Dolores Park to observe (and a few of us to participate) in the Golden Hydrant painting ceremony. 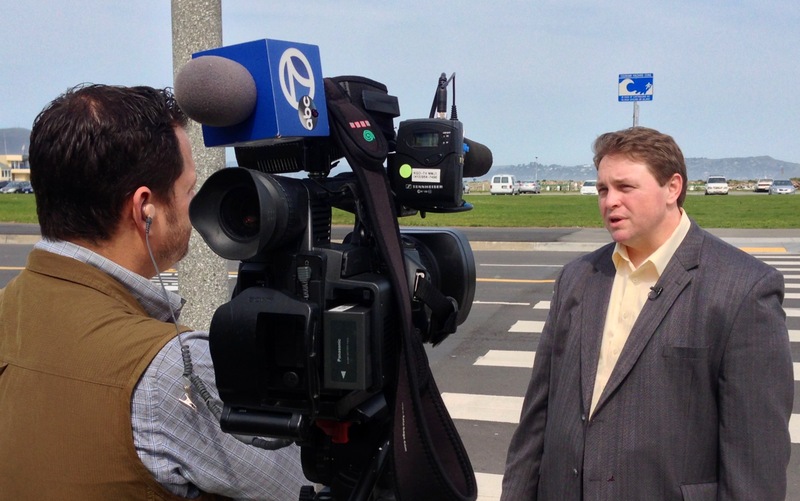 Deputy Director Rob Dudgeon talks to the Bay Area’s KGO-7 about Tsunami Preparedness. San Francisco plans for all emergencies including Tsunamis. 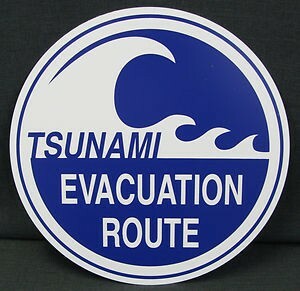 For tips on how to prepare for tsunami or any disaster visit www.72hours.org. You can also see if you live or work in a Tsunami Inundation Zone. Take steps towards community preparedness and join us for our first ever SF Tsunami Walk Saturday, March 30th at 10:00 am. Bring your family, invite your friends and meet your neighbors and find out what to do in case of a tsunami, which is to walk UP to higher ground. Meet us at the intersection of The Great Highway and Lincoln Way. As we would during an actual tsunami evacuation, we’ll walk inland and away from the beach. The short walk ends at Francis Scott Key Elementary School which is the neighborhood’s Tsunami Evacuation Assembly Area. So, sign up here or just show up at 10:00 AM! Meanwhile, next week kicks off Tsunami Preparedness Awareness Week (March 24-30, 2013). Tsunamis are a very real risk to San Francisco; in fact, we have many tsunami inundation zones along the city’s coastlines. And two years ago we had a tsunami warning in San Francisco, which was caused by the Tohoku, Japan earthquake. Throughout Tsunami Preparedness Week we’ll post preparedness tips on our blog and @EM4SF on Twitter. And remember, you’re more prepared than you think! To learn more about emergency preparedness in general, visit our preparedness web site 72hours.org.